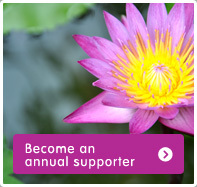 Become an annual supporter of Ban Rom Sai! Your annual donation will support the children and the running costs of the orphanage. * Please note that outside office hours, we may not be able to assist you and there may not be help available in English. Copyright © 2014 ban rom sai. All Rights Reserved.